I was delighted yesterday to read Fat Goblin Games announcement of renewed support for Castle Falkenstein, a long-time favorite of mine. I still fondly recall purchasing it at GenCon and sitting, ensconced, in one of the side halls of the convention center pouring through its contents, losing myself in its graceful, romantic, and magical setting. The mid-range (2–7) matches Fate Core for the most part (although ICONS knocks out the “Mediocre” level, having just two below Average). Overall, I like the contrast between the “normal” (3–6) and “super” (7–10) adjectives. A hurricane strikes “Beach City” (the news report has Snapper Carr reporting from “Beach City Pier”). This preamble is the classic “heroes vs. disaster” scenario, which tends to get limited treatment in superhero RPGs compared to combat. 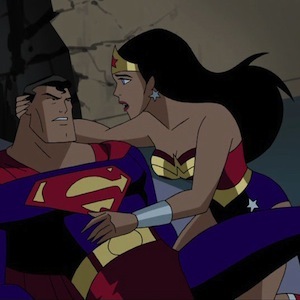 Diana’s monologue on her way back to Paradise Island is classic and any player who came up with Wonder Woman saying these things to prepare for a confrontation with her mother should get some type of award! So now that Luthor’s Injustice Gang has caught Batman, what are they going to do with him? Note that Batman is intimidating to most of the villains in the room while chained up and not even trying! That’s some “passive” intimidation score! 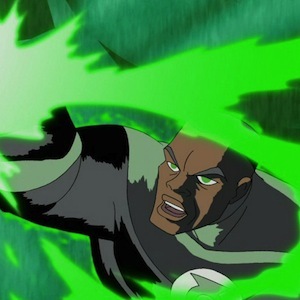 A “stasis field” prevents J’onn’s telepathy from locating Batman, the same technology used to restrain J’onn in Secret Origins. Nice consistency in the application of plot devices. 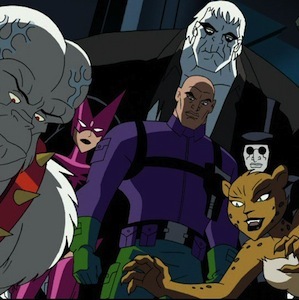 “Injustice for All” is one of my favorite Justice League episodes (along with Season 2’s “Secret Society”) because it has team vs. team dynamics, snappy dialog, and a lot going on, along with a more classic Silver Age Lex Luthor. 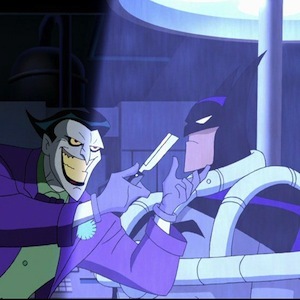 Plus a terrific use of Batman and his abilities, which we’ll look more at in Part 2. Thanks to Martian Manhunter impersonating Superman, the League finally gets the goods on Lex Luthor. Luthor hops into a high-tech flier, firing blasts to cover his action, then uses a missile to bring down the roof, all before Batman, Green Lantern, or Martian Manhunter can move to stop him. Given the eagerness of most players to act, this looks like some type of fiat on the part of the GM, creating a complication for the heroes. 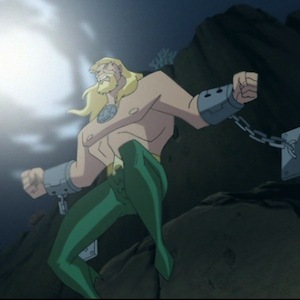 Going after the missing Aquaman and following up on evidence that someone in Atlantis is behind a plot to assassinate him, the League falls victim to Atlantean perimeter defenses and is captured. Atlantean synaptic headbands leave them largely powerless and in the clutches of Orm, who intends to execute them as he leads an attack on the surface world. While Superman and J’onn investigate the truth of the allegations against Green Lantern, Flash and Hawkgirl keep an eye on the trial proceedings. Flash impulsively offers to defend John against the charges, not realizing that the alien system of jurisprudence makes advocates subject to the same penalty! Arkis’ power ring aura is enough to protect him from Hawkgirl’s mace. So why do Green Lanterns throw up protective bubbles, if their rings provide an automatic force field? Is there an additional protective benefit? A “layered” defense of some sort? The bubble might represent a kind of primarily defensive action, sacrificing an attack for improved defense (as is the case in many game systems).